Burial August 1965 She was buried in August 1965 at Parkes Town Cemetery, Methodist Section, Parkes, NSW, AustraliaG. Married Name 1899 As of 22 February 1899, her married name was Perks. Birth 10 October 1873 Isabella Armstrong Perks was born on Friday, 10 October 1873 at Burrowa, NSW, AustraliaG. She was the daughter of John Perks and Charlotte Armstrong. Marriage 16 January 1899 Isabella Armstrong was married to James Reed on Monday, 16 January 1899 at Forbes, NSW, AustraliaG. Married Name 1899 As of 16 January 1899, her married name was Reed. Death James Reed died at AustraliaG. Birth He was born at AustraliaG. Marriage 16 January 1899 James was married to Isabella Armstrong Perks, daughter of John Perks and Charlotte Armstrong, on Monday, 16 January 1899 at Forbes, NSW, AustraliaG. 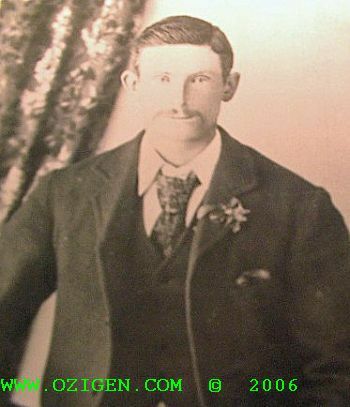 Birth 3 May 1876 Thomas Wainwright Perks was born on Wednesday, 3 May 1876 at Mundoonan, near Yass, NSW, AustraliaG. He was the son of John Perks and Charlotte Armstrong. 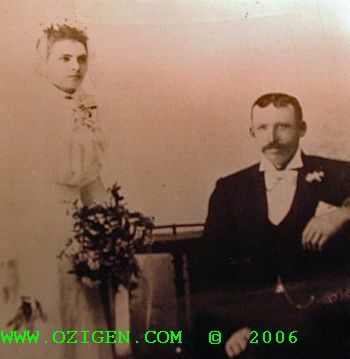 Marriage 1897 Thomas Wainwright was married to Maud Val O'Brien, daughter of Cornelius O'Brien and Maud Bryant, in 1897 at Parkes, NSW, AustraliaG. Death 1933 Thomas Wainwright Perks died in 1933 at Windsor, NSW, AustraliaG. 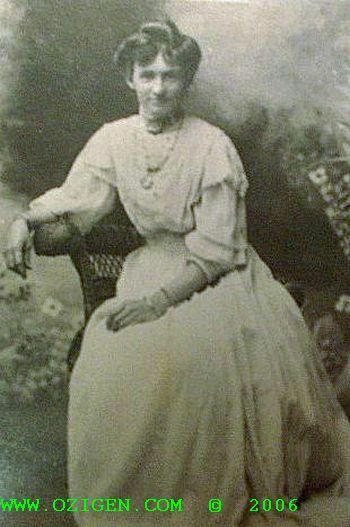 She was the daughter of Cornelius O'Brien and Maud Bryant. Marriage 1897 Maud Val was married to Thomas Wainwright Perks, son of John Perks and Charlotte Armstrong, in 1897 at Parkes, NSW, AustraliaG. 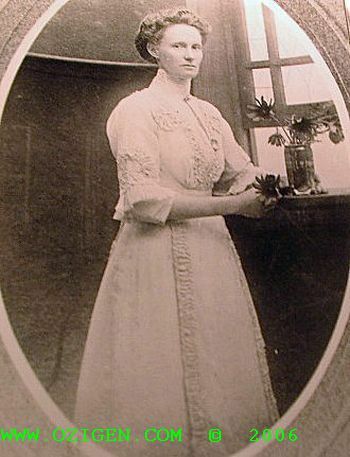 Death Maud Val O'Brien died at AustraliaG. Married Name 1897 As of 1897, her married name was Perks. [S414] Karen-Anne Bartlett, "Maud O'Brien's Family," e-mail to Robert Mote, 3 October 2003. Name Variation 1879 As of 1879, Charlotte Eva Perks was also known as Charlotte Eva Perkis As shown in her birth entry in the NSW BDM Index. Married Name 1900 As of 27 July 1900, her married name was Preston. [S858] Charts, Lists Documents, Preston Family Tree. [S2] Index of BDM records, NSW BDM, Place of Registration: Narromine; Year: 1907; Number: 16078. [S2] Index of BDM records, NSW BDM, Place of Registration: Narromine; Year: 1909; Number: 16986. [S2] Index of BDM records, NSW BDM, Place of Registration: Cowra; Year: 1915; Number: 17563. He was the son of Thomas Samuel Preston and Sarah Barker. Burial January 1940 She was buried in January 1940 at Parkes Town Cemetery, Methodist Section, Parkes, NSW, AustraliaG. Name Variation 1881 As of 1881, Florence Jane Perks was also known as Florence Jane Perkes As shown in her birth entry in the NSW BDM Index. Birth 1883 Annie Shielburne Perks was born in 1883 at Parkes, NSW, AustraliaG. 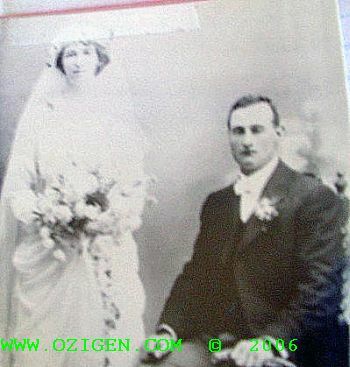 Marriage 1914 Annie Shielburne was married to Arthur W Cockram in 1914 at Parramatta, NSW, AustraliaG. Married Name 1914 As of 1914, her married name was Cockram. [S2] Index of BDM records, NSW BDM, Place of Registration: Parkes; Year: 1944; Number: 4675. Death Arthur W Cockram died at AustraliaG. Marriage 1914 Arthur W was married to Annie Shielburne Perks, daughter of John Perks and Charlotte Armstrong, in 1914 at Parramatta, NSW, AustraliaG. [S2] Index of BDM records, NSW BDM, Place of Registration: Molong; Year: 1884; Number: 24472. [S106] Death Certificate, Registration Number: 1924/014348, Robert Mote, 1 Ringrose Crescent, Isaacs, ACT, Australia. Birth 1886 Gertrude May Perks was born in 1886 at Parkes, NSW, AustraliaG. Death 1960 Gertrude May Perks died in 1960 at AustraliaG. [S1039] Unknown compiler, "MyHeritage", Ancestral File. Birth Unknown Bell was born at AustraliaG. Marriage Unknown was married to Alan Gordon Moses Perks, son of John Perks and Charlotte Armstrong. Married Name Her married name was Perks. Birth 18 November 1887 Ada Evelyn Matilda Sullivan was born on Friday, 18 November 1887 at Parkes, NSW, AustraliaG. She was the daughter of James Patrick Sullivan and Mary Eliza Perks. Marriage 21 January 1953 Ada Evelyn Matilda was married to Thomas Roy Donnelly on Wednesday, 21 January 1953. Death 23 December 1983 Ada Evelyn Matilda Sullivan died on Friday, 23 December 1983 at Condobolin, NSW, AustraliaG, at age 96. 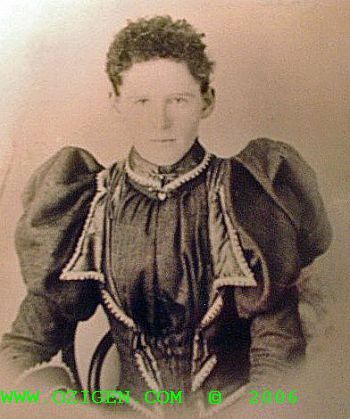 Nickname Ada Evelyn Matilda Sullivan was often called Tess. Married Name 1953 As of 21 January 1953, her married name was Donnelly. He was the son of James Patrick Sullivan and Mary Eliza Perks. Death 11 March 1965 James Oswald Sullivan died on Thursday, 11 March 1965 at AustraliaG. Nickname James Oswald Sullivan was often called Jim. Death 5 June 1984 Alfred John George Sullivan died on Tuesday, 5 June 1984 at Villawood, NSW, AustraliaG, at age 91. Nickname Alfred John George Sullivan was often called Jack. [S2] Index of BDM records, NSW BDM, Place of Registration: Canterbury; Year: 1916; Number: 2169. Marriage 10 March 1920 Catherine Muriel was married to Albert James Collier on Wednesday, 10 March 1920 at Sydney, NSW, AustraliaG. Death 10 September 1964 Catherine Muriel Sullivan died on Thursday, 10 September 1964 at Trundle, NSW, AustraliaG, at age 70. Nickname Catherine Muriel Sullivan was often called Kit. Married Name 1920 As of 10 March 1920, her married name was Catherine Muriel Collier. Marriage 27 February 1924 Percy Roy Gladstone was married to Grace O'Neill on Wednesday, 27 February 1924. Death 8 February 1984 Percy Roy Gladstone Sullivan died on Wednesday, 8 February 1984 at West Wyalong, NSW, AustraliaG, at age 87. Name Variation Percy Roy Gladstone Sullivan was also known as Roy. Marriage Allan Gordon was married to Rita McDonald. Death 15 July 1984 Allan Gordon Sullivan died on Sunday, 15 July 1984 at Condobolin, NSW, AustraliaG, at age 85. Nickname Allan Gordon Sullivan was often called Gordon.